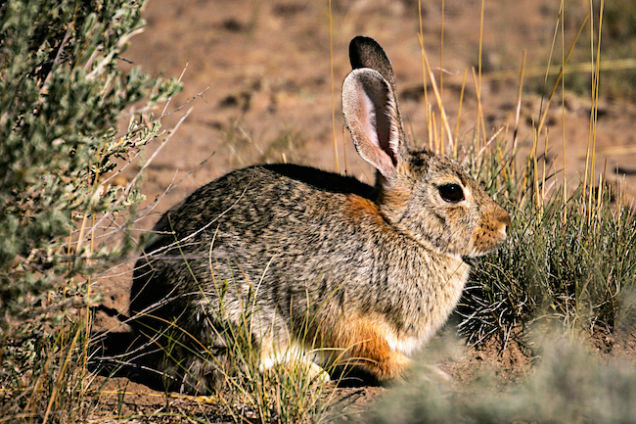 Colorado Health Officials Warn Residents of "Rabbit Fever"
Health officials in Colorado are warning people to stay away from sick or dead rabbits over fears of "rabbit fever," a potentially life-threatening disease. In even more troubling news, there's apparently a need for official reminders not to play with sick or dead rabbits. According to CBS Colorado, there haven't yet been any confirmed human cases but officials in Jefferson County say that a rabbit in the southern part of the county has tested positive for the disease. Tularemia, or rabbit fever–which contrary to its name can also be found in beavers and rodents, is a bacterial infection that can be spread through contact with sick or dead animals or through a bite from an infected flea or tick. According to the CDC, symptoms from the Francisella tularensis bacteria include a high fever, swollen lymph nodes, and a sore where the bacteria entered the body, but it can also cause a sore throat, abdominal pain, vomiting or diarrhea if the bacteria is ingested through eating or drinking contaminated food or water. It can be treated with antibiotics if caught early, but it can be deadly if left untreated. The disease strikes about 140 Americans a year.